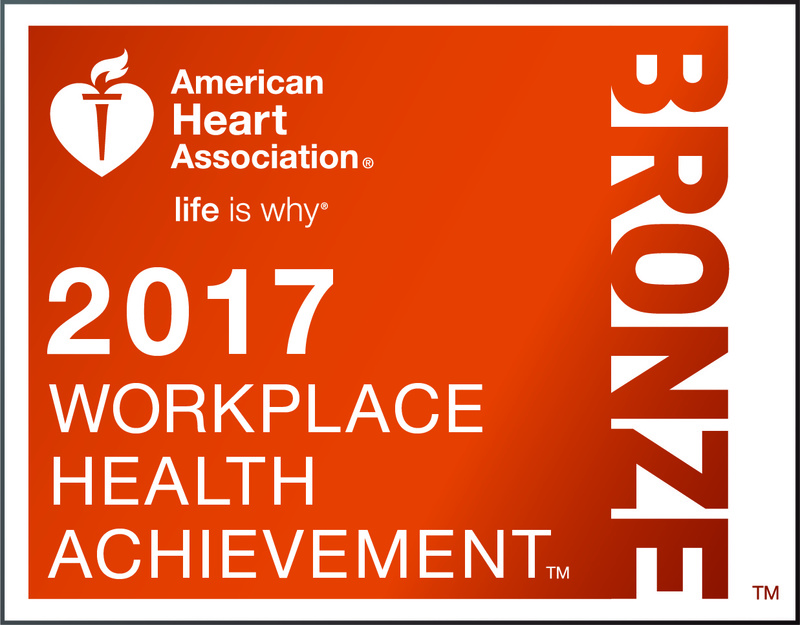 Policy Research Associates has, once again, been recognized by the American Heart Association in its Workplace Health Achievement Index. This year, PRA achieved bronze-level recognition by embedding a culture of health and wellness in the office. PRA encourages healthy living by providing a number of options for our employees, including physical activity and wellness support, access to healthy foods, and a tobacco-free workplace. During the month of January, PRA focuses on multiple aspects of health and wellness. This is done through hosting guest speakers, writing blogs, and encouraging information sharing throughout the workplace. In addition to providing delicious fresh fruits and vegetables for employees to eat, the community garden next to our parking lot offers a great opportunity to get outdoors during the workday! Each week for the past 2 years, PRA has been a delivery site Field Goods, a program that delivers local produce and healthy recipes to businesses along the Hudson River. Field Goods is a great way to expose yourself to new and healthy foods as well as support local farms. The healthy vending machine continues to be a big hit in the office. While it is easy to cave and grab an unhealthy snack in the middle of the workday, our Healthy Me Living vending machine offers delicious and healthy snacks such as popcorn, granola bars, and nuts. Policy Research works hard to maintain our culture of wellness in the office and is proud to be an awarde for the second year in a row. Thank you to the American Heart Association for recognizing us!